In this version, I added pecans. I forgot how unique of a taste the pecan has…an almost sweet, buttery nut with a softer crunch. 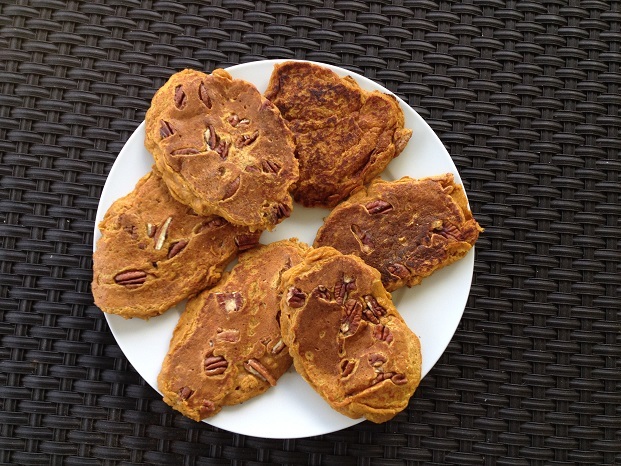 In a medium bowl, use a fork to combine pancake mix, water, pumpkin, oats, cinnamon, and flaxseeds. Heat a large pan on medium heat. 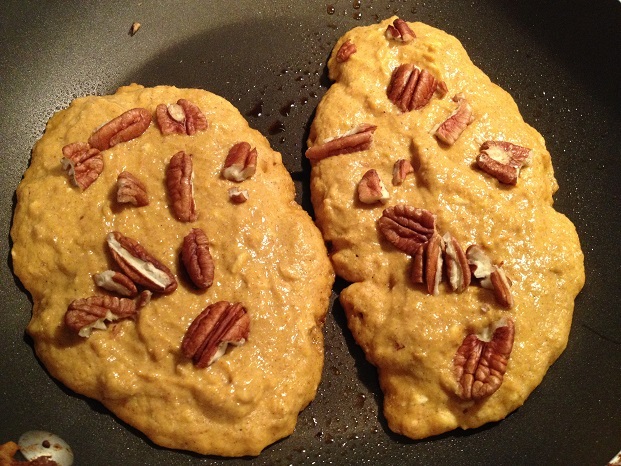 Spray with no-stick cooking spray, and pour batter into circles (or desired shape) on pan. 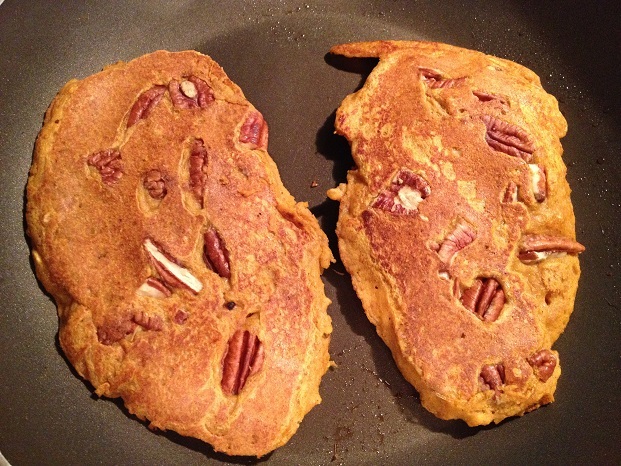 Place pecan pieces on top of pancakes on pan. After about 1 1/2 minutes, check pancakes for doneness by using a heat-resistant rubber spatula to lift the edge of the pancake. When pancakes are golden brown, flip, and cook an additional 1 1/2 minutes or until golden brown when checked with the spatula. Repeat making, spraying pan with no-stick cooking spray before each round of pancakes until batter is finished. Serving suggestion: Serve warm with buttery spread (Smart Balance) and/or real maple syrup on top. 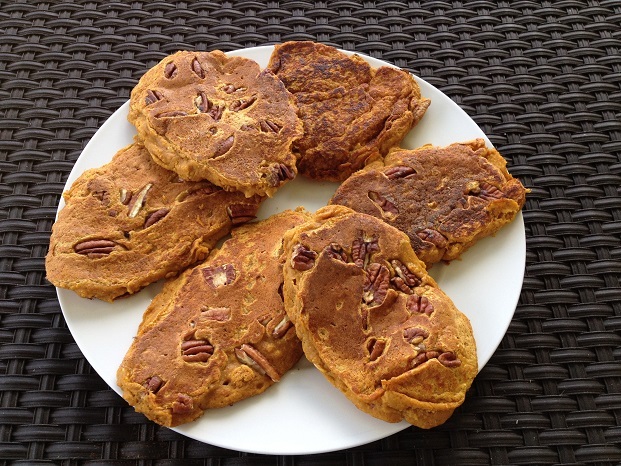 Serve with a glass of fat free milk- maybe even fat free milk with omega 3s! Nutrition note: Pecans provide a healthy fat that helps you absorb vitamin A (and also vitamins D, E, and K).